Our hotpot wood or biomass fuel chimney stove features a glass table top, that forms a perimeter around stove and cook pot, that you crowd around with friends or family to eat! The origins of hot pot cooking is China and is know as China Hotpot, Firepot, Mongolian Hotpot, and Chinese Fondue Pot, among other names. 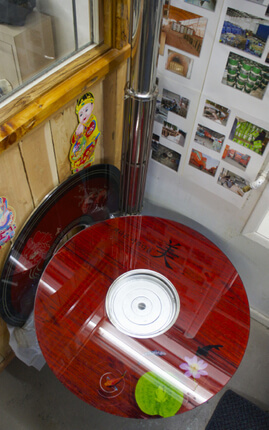 Mongolian Hotpot cooking is found in all of the World’s cuisines in some form or another. In the EU it is often known as Fondue, in Japan Shaba-Shaba, Thailand Thai Suki, Korea One-Pot, all characterized by utilizing a cooking vessel with hot broth to immerse meat, seafood and vegetables to cook in. There is one Hotpot Rule: Don’t hotpot with people you do not like! There is a real sense of community with this type of cooking, since you are not just sharing a meal but also the pot! 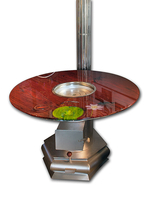 This wonderful stove is about the communal eating experience, not just the function of the stove. Perfect for your patio, outdoor kitchen, lanai, or the chimney allows indoor installation with emissions to be vented outdoors. 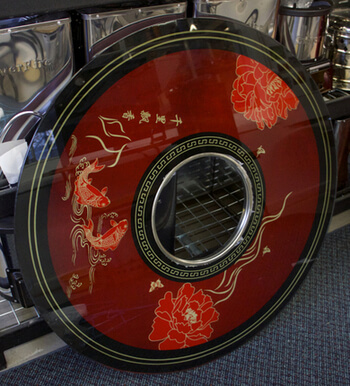 We offer 2 models, the smaller intimate single glass model, and the larger diameter model with a lazy Susan turntable model (Large Mongolian Hotpot Stove Listing with 2nd glass lazy Susan top, see next listing). 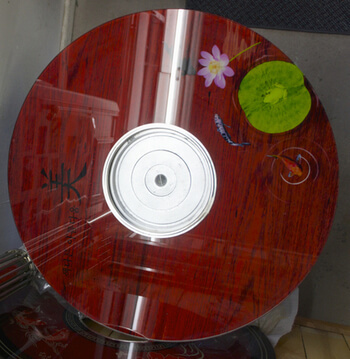 The smaller model shown here is available in 2 customer glass top designs: Lily Pad or Red Peony. 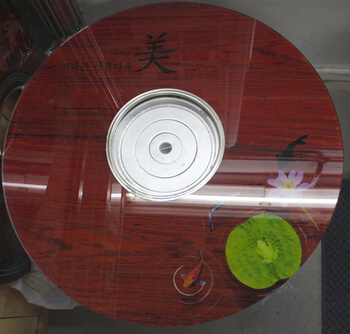 The Lily Pad is shown with stove body and the Red Peony top is the table top photographed on edge. Pallet shipping by LTL Freight delivery quote required.